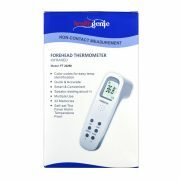 Non-Contact, Consistent and Reliable temporal Forehead Thermometer - the easiest way to take a temperature without touching the forehead from a distance of 3~5 cm. Also comes with colour codes for various temp. grades. 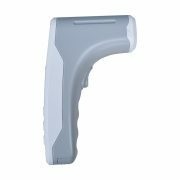 FAST AND ACCURATE READINGS: Provides fast clinical accurate instant temperature within 1 second and precise reading less than 0.2 - .09°F when used in accordance to instructions in different modes. It reads the reading aloud. 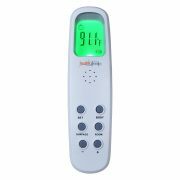 RELIABLE AND READINGS STORE: Thermometer can store and recall up to 32 readings for baby and adults, available to help you track the trend of body temperature. LONG LASTING: The device can measure over 4000 times without changing the battery set. Device shows low battery indication on display. It works on infrared, non-contact technology to give reading in just 1 second and it reads the value aloud and in addition to this it comes with colour codes for easy temp/fever grade indication. It stores last 32 measurement readings to help you track the trend of temperature of your dear ones. It has auto switch off feature and switches off automatically in 1 minute when not in use. It comes with multiple use modes like body mode, surface mode, room mode. 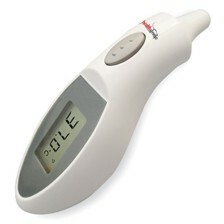 Users can set the high fever alarm temperature point according to the actual need. 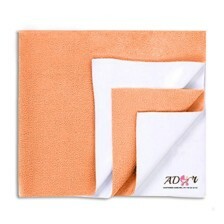 The device has long lasting life, it can be used over 4000 times with 2pc of AAA battery. You can easily switch between °C and °F. 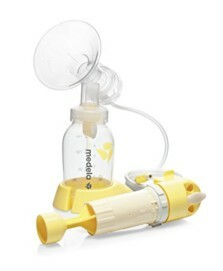 The device gives beep sound when it is switched on/off, finishes a measurement of temp. and low voltage. It can be used for people of all age group. 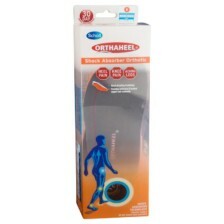 To activate the Warranty, register within 30 days from date of purchase at www.healthgenie.in/warranty. Very useful for kids, as you can take reading while they are sleeping. 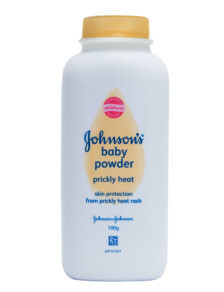 You just need to place it 3 cm away from the forehead to record the temperature. 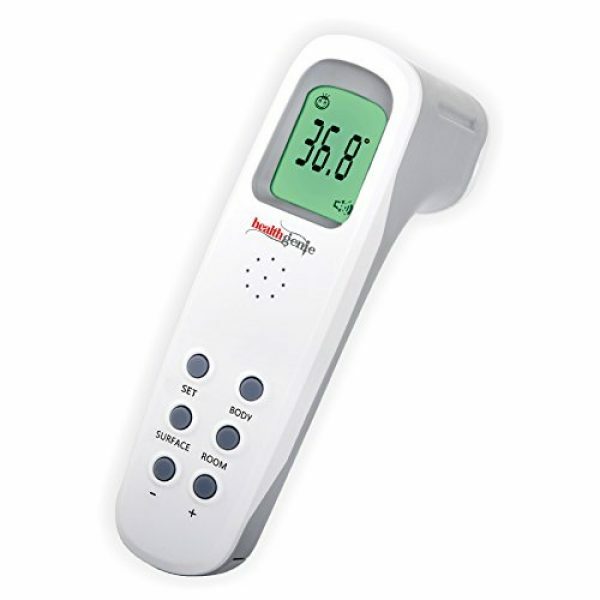 Very easy to use & have multiple functions of measuring Body, Surface & Room Temperature.